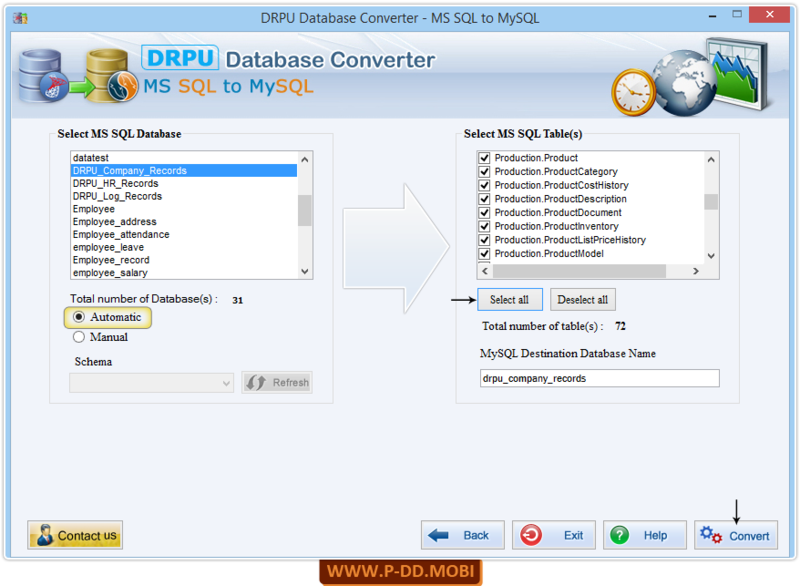 Select MS SQL Database from left panel and MS SQL database Table(s) list from right panel. 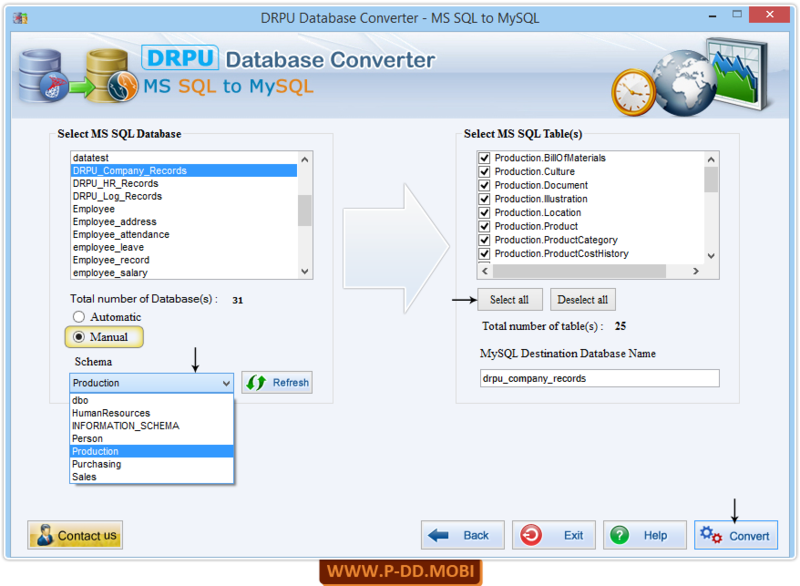 If you will select "Automatic" option then, MS SQL database records with selected attributes will automatically converted in to MySQL database. 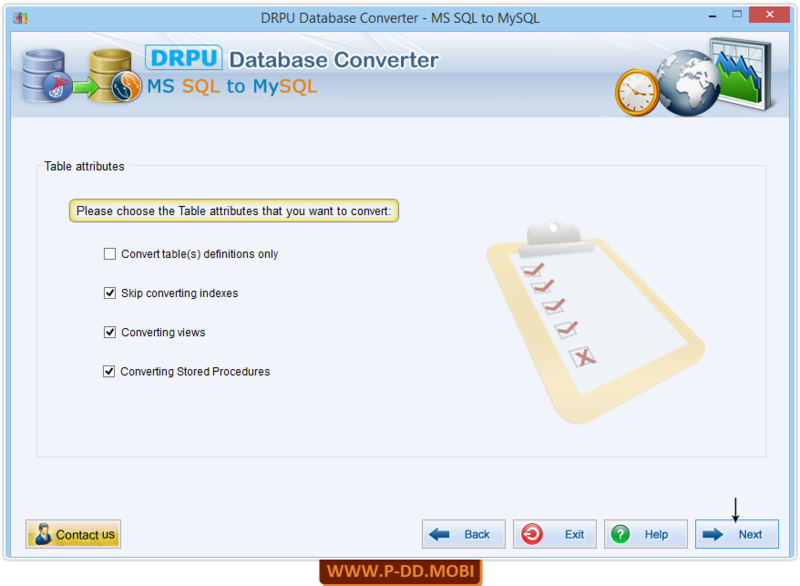 In case of "Manual" option, You can convert your database by selecting schema items manually. 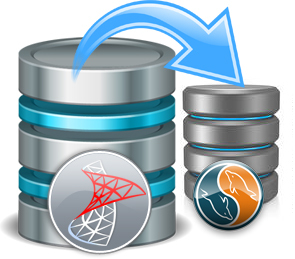 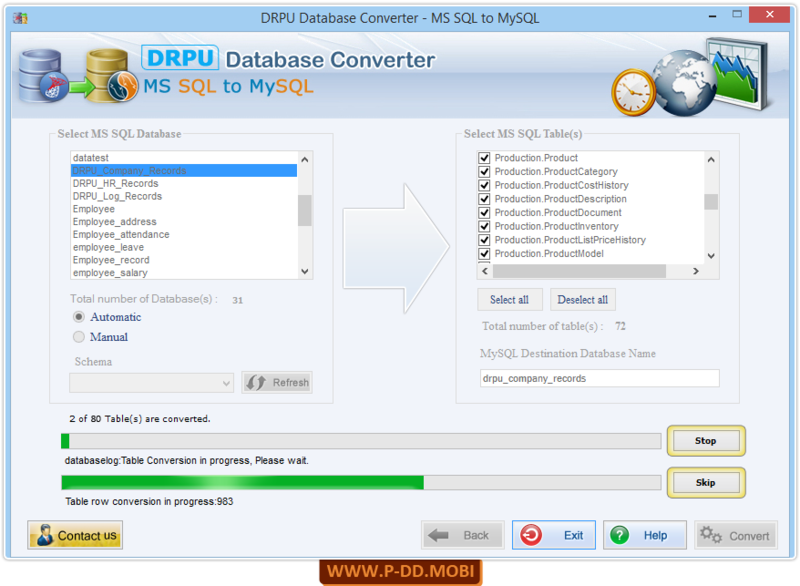 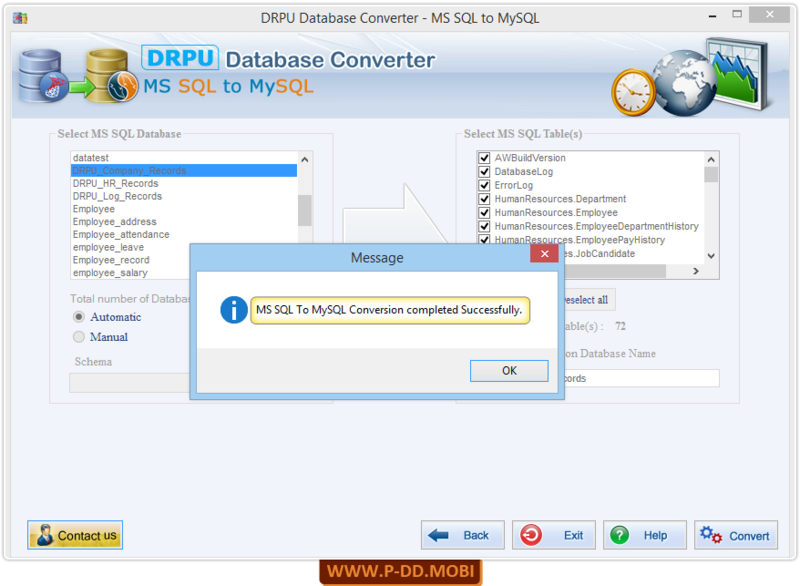 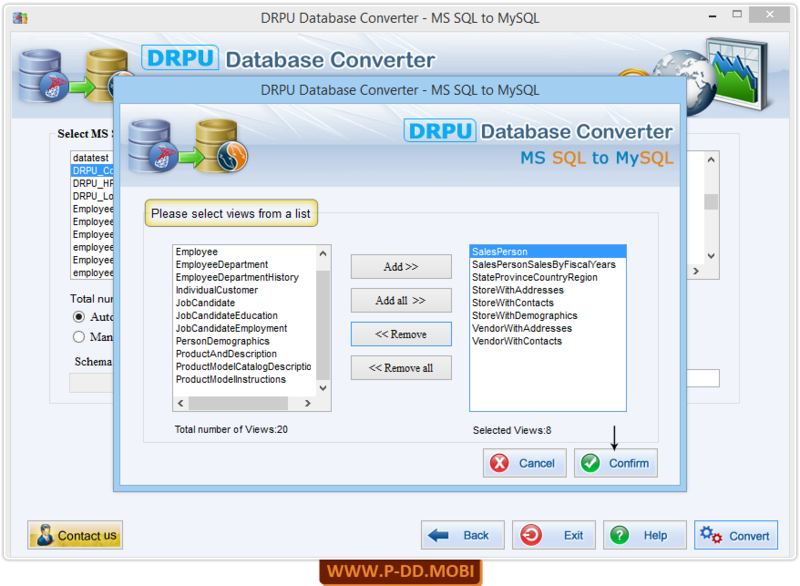 Now, MS SQL to MySQL databse conversion process has been sucessfully completed.